October in south Louisiana is a wonderful time of year: satsuma and sugarcane harvests, hunting seasons (dove, squirrel, deer), pecans rattling down from the trees. Best of all, it’s cool enough to enjoy an outdoor festival (or two or three or four). 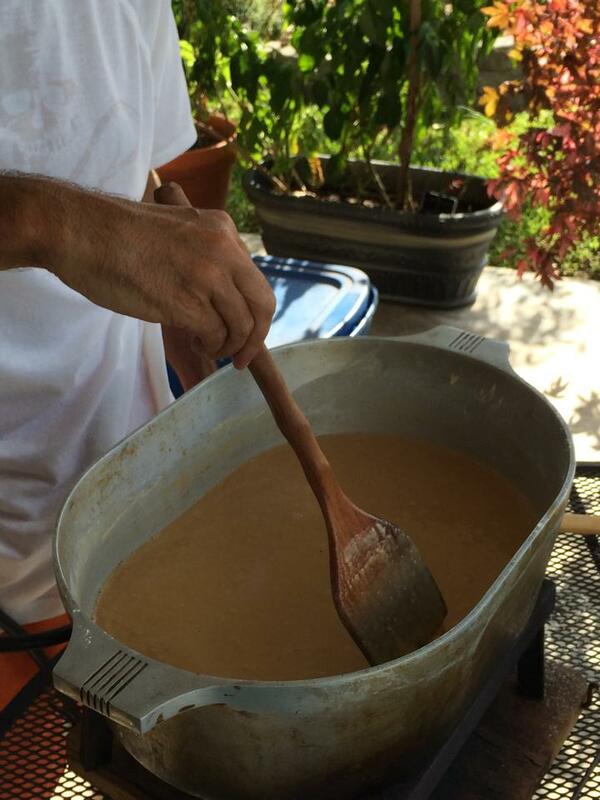 This weekend, I’ll join my family & friends to make 100+ gallons of seafood gumbo at the French Food Festival in Larose, LA. Compared to restaurant gumbo, our homestyle bayou Cajun gumbo is thin and light brown–the color and consistency of Bayou Lafourche after a heavy spring rain. It is chock full of crabmeat and crab claws, shrimp, oysters, smoked sausage, ham, and lots of onion, celery, bell peppers, and seasonings. We’ve been making that festival gumbo for more than 35 years, with all proceeds from the event supporting the nonprofit Larose Regional Park and Civic Center. The weather forecast looks great–the perfect weekend for a festival roadtrip, especially to an event with free parking, free admission, and more than 25 traditional Louisiana foods. Boudin balls, gratons (cracklings), grillades, shrimp boulettes, jambalaya, fried locally caught fish, white beans, red beans, crawfish etouffee, alligator sauce piquante, pork routee, hogshead cheese, funnel cakes, poboys, and even tarte a la bouille, plus many more. See you at the fairgrounds……Directions, event schedule, and all the details: click here.